CEO Mark Fields said Ford was “encouraged” by “pro-growth policies” Trump and the new Republican Congress are likely to pursue. DETROIT -- Ford Motor Co., following months of withering criticism from President-elect Donald Trump for expanding operations in Mexico, said Tuesday it will cancel its US$1.6 billion assembly plant in Mexico, instead investing US$700 million in the U.S. to bring to market 13 electrified vehicles. The plans, in part, include an F-150 hybrid, Mustang hybrid and a fully electric SUV with a 300-mile (480-kilometre) electric range. Ford currently builds its 5.0-litre engines for the Mustang and F-150 and the 6.8-litre engine for the F-Series in Windsor, Ont. Unifor Local 200 president Chris Taylor, who represents the hourly workers building those engines, said he had no idea if Tuesday’s announcement will have an impact on the two factories there. Taylor also said he doesn't know anything beyond the fact the new contract Unifor and Ford agreed to late last year contains the promise of a new engine product for Windsor. Ford in December 2015 announced plans to invest US$4.5 billion in electric car research and add 13 electrified vehicles to its lineup by 2020. Tuesday it announced details about seven of the 13. The new fully electric small SUV will be coming by 2020 and will be built south of Detroit in Flat Rock, Mich. The other vehicles include a high-volume autonomous vehicle for commercial or ride-sharing service; a Transit Custom plug-in hybrid; and two new pursuit-rated hybrid police vehicles. To support this, Ford plans to invest US$700 million and add 700 direct new jobs in the United States over next four years. 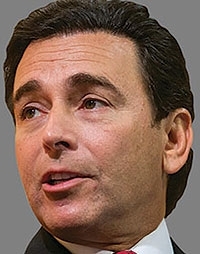 Ford CEO Mark Fields said Ford was “encouraged” by “pro-growth policies” Trump and the new Republican Congress are likely to pursue, citing them as one of several factors in the company’s decision to invest in the United States and cancel the Mexico plant. “We’ve made this decision independently on what’s right for Ford, but we look at all the factors. Our view, we see a more positive U.S. manufacturing business environment under President-elect Trump and the pro-growth policies and proposals he’s talking about. This is a vote of confidence for President-elect Trump and some of the policies they may be pursuing." Trump has threatened to slap Ford with a 35-per-cent tariff on any vehicles it imports from Mexico, as well as renegotiate or pull out of the North America Free Trade Agreement. Tuesday morning, Trump also targeted GM in a tweet, threatening to impose a "big border tax" for making its Chevy Cruze model in Mexico. In response, GM reiterated that Cruzes built there will mostly go to the domestic market and that it will continue to build the compact in the United States. Ford’s electrified-vehicle announcement comes the same day Fiat Chrysler Automobiles plans to reveal an all-electric minivan concept, called the Chrysler Portal, that gets 250 miles (400 kilometres) of range. The automaker recently began selling a hybrid version of its Chrysler Pacifica minivan. General Motors is also making headlines for its Bolt EV, which went on sale in California last month and boasts 238 miles of range. It comes out a year before the planned release of Tesla’s much-hyped Model 3, the California automaker’s own 200-plus-mile (320-plus-kilometre) range EV. Fields in May confirmed Ford was developing an electric vehicle with range comparable to the Bolt, Model 3 and next-generation Nissan Leaf. 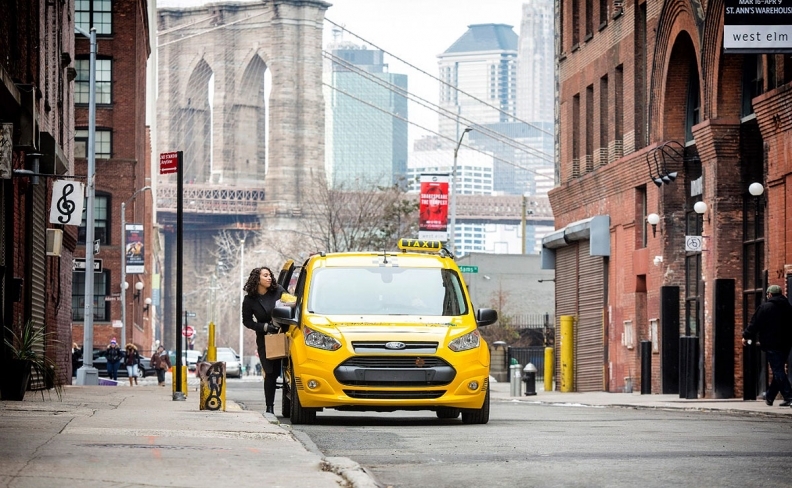 Ford said it is testing a fleet of 20 Transit Connect hybrid taxi and van prototypes. Asked whether the automaker intended to offer an EV with a 200-mile (320-kilometre) range, Fields said Ford wants to be “among the leaders or in a leadership position” as more automakers introduce long-range battery-powered cars. “Clearly that’s something we’re developing for,” he said. Ford is expected to call its 200-mile (320-kilometre) EV the Model E. Tesla CEO Elon Musk wanted to call the Model 3 the Model E, but he was unable to secure the naming rights from Ford, which has owned the patent for some time. Ford also said it is moving production of the Focus sedan -- which was supposed to go to the new Mexican plant -- to its existing Mexico plant in Hermosillo. A Mexico government spokesman said there was no official comment immediately after the Ford announcement, but there could be a statement later in the day.